With 34 companies and 21 sales offices all over the world, Hansgrohe is one of the few global players in the sanitation industry. 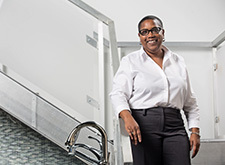 During the 2017 financial year, the mixer and shower specialist employed around 5,000 people and supplied mixers and showers to more than 140 countries. In 2018 the Hansgrohe family celebrated it's 117th birthday. Founder Hans Grohe started out small in 1901, with his metal pressing workshop in the Black Forest. The company headquarters are still located in the adoptive home of "Clever Hans". But today the brand that he created enjoys a worldwide reputation: hansgrohe and AXOR products, with the "Made in Germany" quality, are used all over the world. the Klaus Grohe family, Schiltach (32 %). the American Masco Corporation, Taylor/Michigan (68%). Despite persistently difficult economic conditions, the Hansgrohe Group continued its successful track record during 2012. It reports sustained growth, both in the German domestic market and in international business. For the first time in the company's 111-year history, sales exceeded the € 800 million mark. In 2012 Hansgrohe created more than 170 new jobs globally and set up an ultra-modern “talent factory” for its 131 trainees in 26 professions. New record turnover: During 2017 financial year, Hansgrohe SE recorded a 4.6% increase in turnover. The company is growing both in Germany and abroad, and has ambitious goals for the future. As of 31/12/2017, the Hansgrohe Group employs 4,962 people around the world. During 2017 the company also created new jobs, invested a lot in training and development, in promoting young talent and also in it's talent and health management. 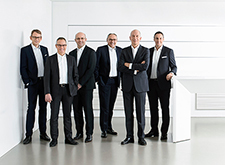 The Hansgrohe SE management team has been closely associated with the Black Forest company for many years and they know it like the backs of their hands. 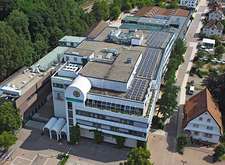 From São Paolo to Schiltach to Shanghai: Since 1901, the company headquarters have been located in the Black Forest. These days, production takes place in Germany, France, China and the USA. 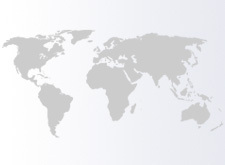 From Sao Paolo to Schiltach to Shanghai: as of 31 December 2011 the Hansgrohe Group employs more than 3,271 people across all the continents, with approximately two-thirds of these based in Germany. "Made in Germany" is raking in the awards: Hansgrohe AG tops the industry for its design. Numerous design awards and company awards are a huge compliment – and give momentum to the innovative path that the company has taken.